Flexible cloud-to-silicon secure connectivity, analytics and security management product suite for service providers, operators, and OEMs. The Rambus CryptoManager Trusted Services support a variety of root of trust configurations via a hardware core or secure software, providing a scalable and flexible security solution. 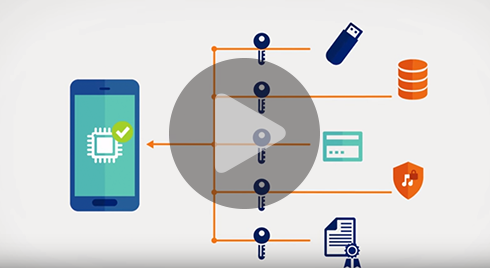 Our solutions support out-of-the-box secure connectivity, credential provisioning and device security lifecycle management. The CryptoManager IoT Security Service provides a turnkey Security-as-a-Service solution that protects service high-availability for OEMs and Service providers. Designed to support multiple chipset and PaaS architectures, our IoT Security Service.